One by one, major banks are telling their credit card customers they can't use their plastic to purchase Bitcoin and other cryptocurrencies. Bank of America, JP Morgan Chase, and Citigroup are no longer allowing transactions for digital currency with their credit cards, according to a report by Bloomberg News. Credit card issuers Capital One and Discover have also said no to crypto transactions. In the UK, Lloyds Banking Group, which includes Halifax, MBNA, and Bank of Scotland, has issued a similar edict. The reasons for the prohibition are multifaceted. Law enforcement agencies have expressed concerns over cryptocurrency transactions because most of them are untraceable. By the same token, banks worry that their credit cards could be used to launder money through purchases of digital currency. Banks are also worried about an increase in credit card fraud. They fear an increase in stolen credit cards, which could then be used to make cryptocurrency purchases. There is also the issue of consumers making ill-conceived, speculative purchases with their credit cards, only to have the value of what they bought fall significantly. Sort of like what has happened with Bitcoin. As the value of Bitcoin skyrocketed to nearly $20,000 in 2017, tales of Bitcoin riches began to circulate online, with more people hoping to cash in. But if a purchaser doesn’t have $20,000 in cash, they might have that much on their credit card credit limit. If they used their credit card to buy in when Bitcoin was at $17,000 they are now in trouble. The digital currency's value recently dipped below $8,000. The National Foundation for Credit Counseling (NFCC) represents non-profit credit counselors who help consumers get out from under massive credit card debt. NFCC vice president Bruce McClary believes the banks are making the right move. "The world of cryptocurrency is like the wild west right now, with market volatility and fraud among the top concerns," McClary told ConsumerAffairs. "Bringing credit cards into the mix elevates the risk to both the borrower and the credit card issuer, so it makes better sense to keep the plastic out of the picture when considering an investment in this area." On Wall Street, stocks are routinely purchased "on margin," meaning with borrowed money. Brokers loan investors the money to make stock purchases and typically charge around eight percent interest, securing the loan with the value of the brokerage account. But when someone buys a cryptocurrency using a credit card, the loan is unsecured -- posing a big risk to the lender. Additionally, the borrower pays a credit card interest rate of 16 percent or more. 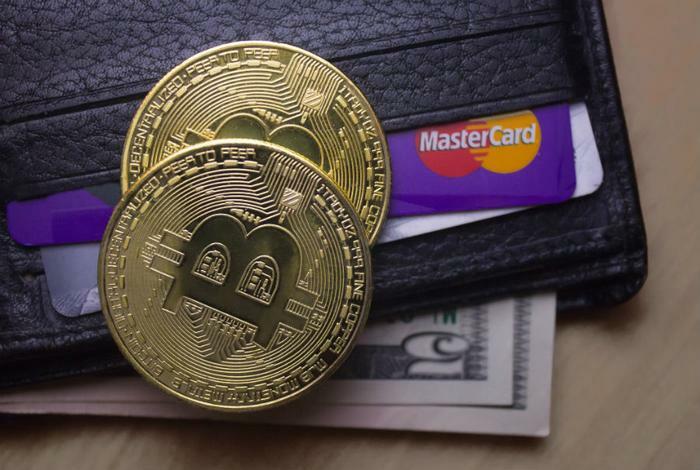 As a result, the highly-volatile cryptocurrency trading market poses huge risks to both the investor and the lender if cyptocurrencies are purchased using a credit card.